You know what's even better than a good friend? A good friend who makes sure you get a delivery of wine every month! That's why we've rated and reviewed the 10 best wine of the month clubs based on quality, price, experience, and more. 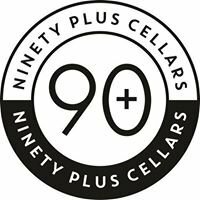 Compare the top 10 wine clubs and get great wine delivered each month! To keep this site free for consumers, we receive compensation for customer referrals. Compare the top 10 wine clubs and get great wine delivered each month! To keep this site free for consumers, we receive compensation for customer referrals. Introductory tasting kit for just $6.95 (originally $39.95)! Taste and rate six mini-bottles, which is where the fun begins. One of the biggest decisions on wine clubs - whether you are gifting the membership, or enrolling yourself - is deciding if you want to prepay for a set time period (thus limiting the number of awesome, liquid deliveries) or if you want to get billed each month. It is often cheaper to prepay, but then you're also committed for a set time. One tactic is signing up for the 2-per-month club, and if you like what you get you can sign up for more monthly bottles. Also, decide if you really need wine each month, or if a quarterly shipment will do it. With so many choices at hand, keep an eye on the dollar total, and make use of introductory gift offers. Wine Insiders - Insiders Wine Club. Introductory offer for $6.00 per bottle. Ongoing pricing $13.32 per bottle, includes average shipping cost per bottle. Receive 12 bottles every 2 months for $139.95 plus $19.95 shipping & handling. First shipment includes 3 bonus bottles. Tasting Room - Wine Club. Taste 6 mini bottles and rate them to create your wine profile. Get personalized shipments as low as $9 per bottle. Choose between shipments of 2, 6, or 12 bottles. Winc - Experience. Select 4+ bottles per month for $13/each and shipping is waived. Standard bottle price $16.99 and up. WSJwine - Discovery Club. Introductory offer for $5.84 per bottle plus shipping ($69.99 plus $19.99 shipping) averaging $7.50 per bottle. Ongoing pricing $14.16 per bottle, includes average shipping cost per bottle. Receive 12 bottles every 3 months for $149.99 plus $19.99 shipping. At least 20% off retail. Laithwaite’s Wine - 4 Seasons Wine Club. Introductory offer for $5.83 plus shipping ($69.99 plus $19.99 shipping) averaging $7.50 per bottle. Ongoing pricing $13.33 per bottle, includes average shipping cost per bottle. Receive 12 bottles every 3 months for $139.99 plus $19.99 shipping. At least 20% off retail.